You’d probably think that for an impeccable wardrobe you’d need a double-digit number of shoeware. Luckily for men, however, everything you need fits under one brand. 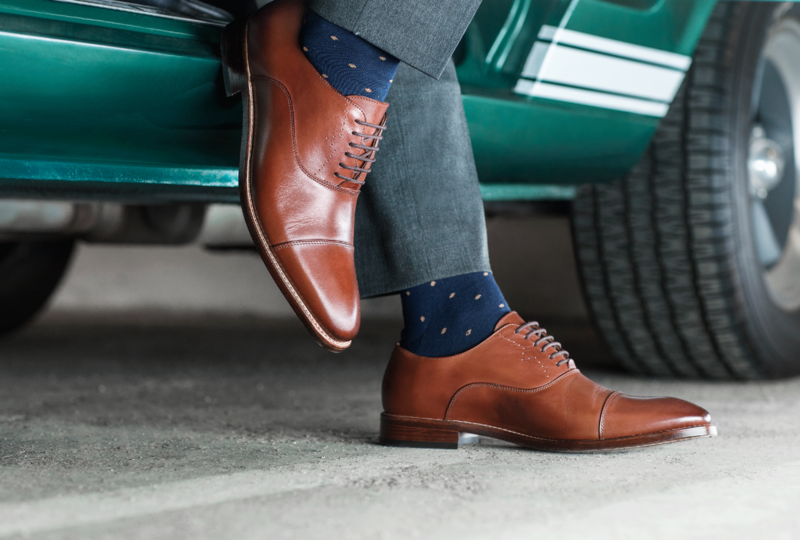 Each man only needs to own five pairs of shoes. 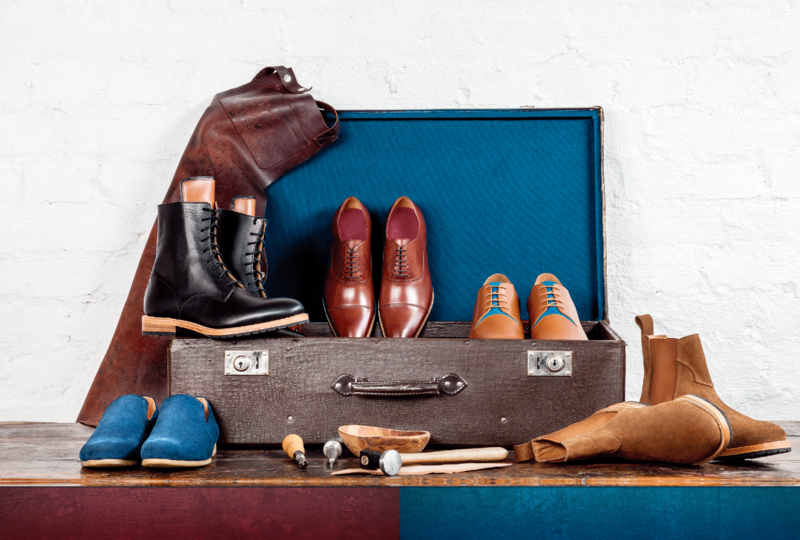 But with a developing array of footwear styles available, choosing the right ones can be overwhelming. Don’t worry – every event in a man’s life fits into five Saint Vacant soles. 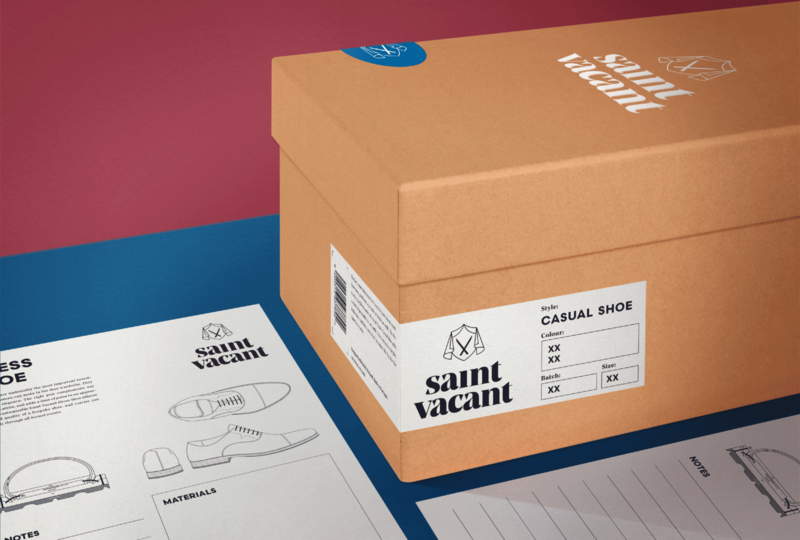 Saint Vacant as a brand was a sneaker freak’s dream turning into a conscious gentleman’s choice. Behind the brand renewal was the ideology of going against the endless cycles and over-production of the fashion industry. The new Saint Vacant range only holds five fundamental shoe models, made with patience during slow factory days as opposed to the rush and chaos of the fashion seasons. 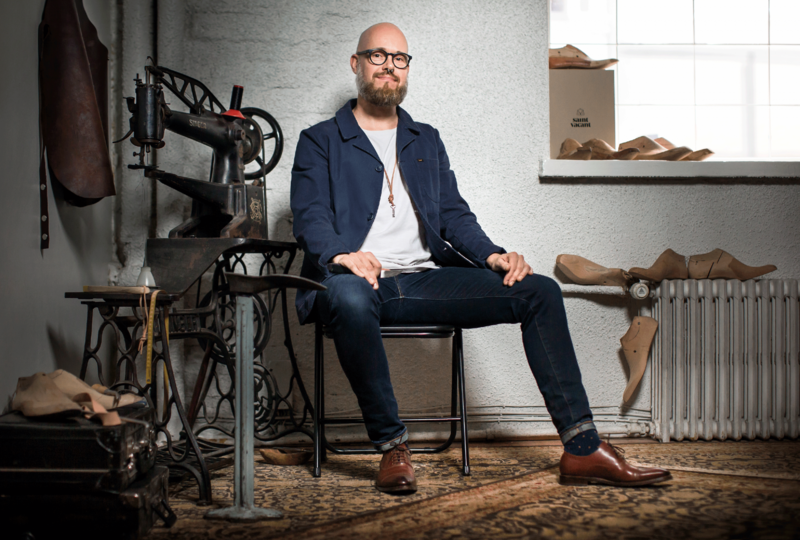 These are shoes made in small batches, with a process that is like a bespoke experience. For a brand that was used to be seen as street wear, it wasn’t easy to communicate the change to high class artisan shoes. 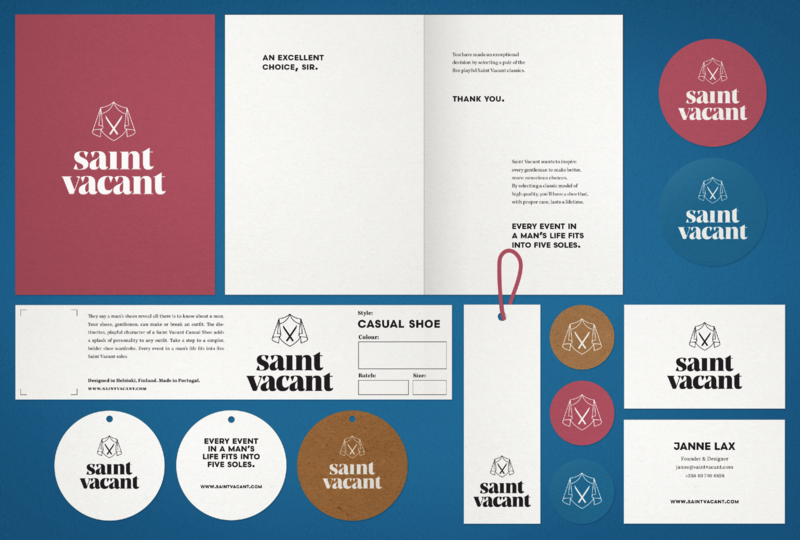 Saint Vacant needed to attract the attention of an older demographic. Here’s where we came along. We worked together with the brand’s maker-and-doer mastermind Janne Lax to tell his incredible story of going rebelliously against the throwaway culture of today. 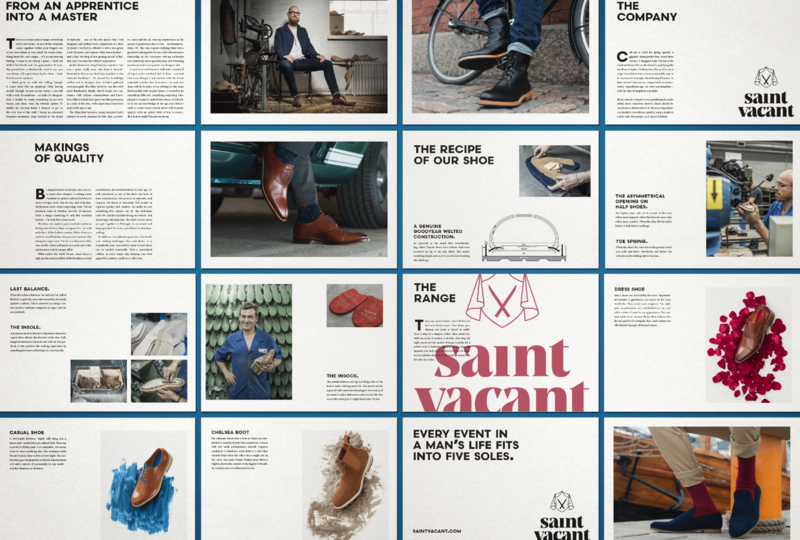 Our solution was to create a strong brand narrative and tonality that recites the journey from an apprentice into a craftsmaster, and paints the picture of a true passion behind the brand. 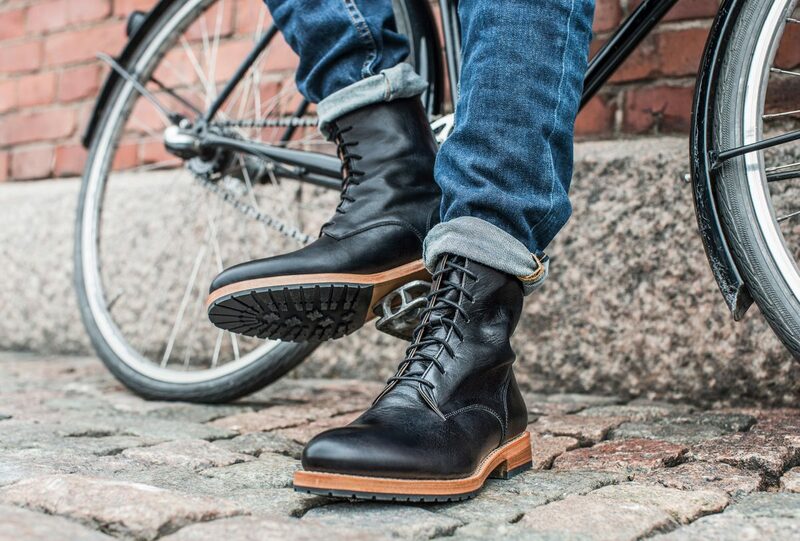 By focusing on Janne’s extraordinary persona, we were able to make the brand feel personal and authentic. We followed the narrative with an equally mesmerizing visual storyline that depicts quality and craft with every detail. 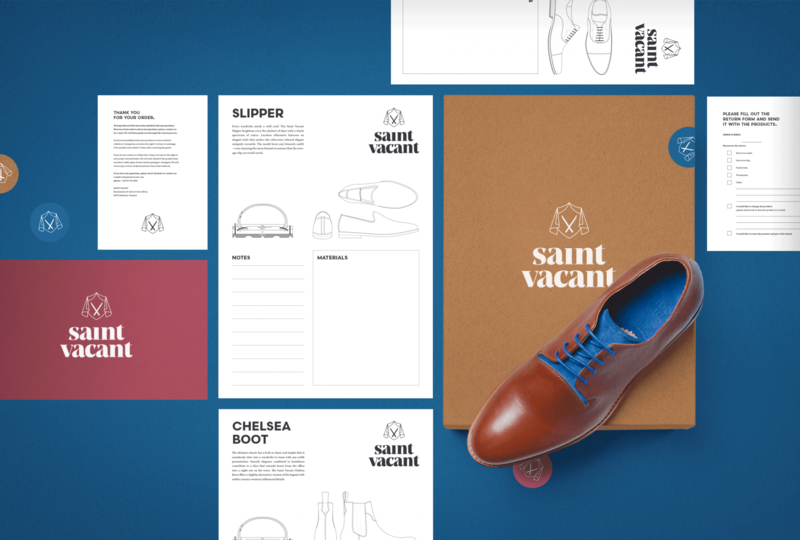 Every element of the brand’s look & feel, from typography to symbols and brand photography, breathes the simplistic, high-class artisan story with additional playful details to keep a part of the street attitude alive. The new brand was met with great reviews. 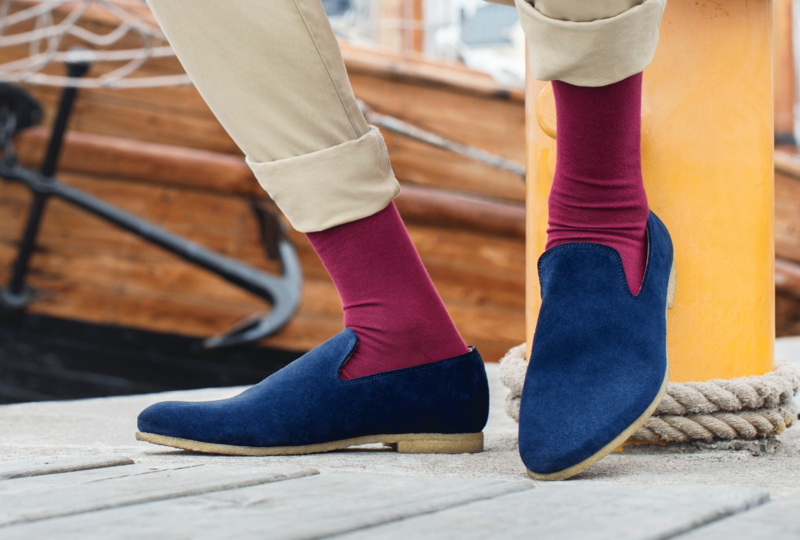 We were able to build a solid core of craftsmanship – a brand that was classy enough to never be average, simple enough to never be out of style, and still playful enough to never stop surprising. Made with love for our local handcraft hero and signed off with a stamp of international credibility.